Breckenridge Ski Resort covers five massive peaks. That’s 187 trails across 2,908 acres. It’s a lot to take in. Begin with a free 2-hour mountain tour (9:30 a.m. daily, meet at the base of Peak 8) or book a lesson with a pro who will show you the ropes, and the steeps, deeps, stashes and rollers. Locally loved chairs and terrain include the Imperial Express lift—the highest chairlift in North America—along with Whale’s Tail, Art’s Bowl, T-bar-accessed bowls and Peak 6 alpine bowls. Peak 10’s new six-person chairlift is pretty cush and the groomed cruisers on Peak 7 are always a stomach-dropping good time. 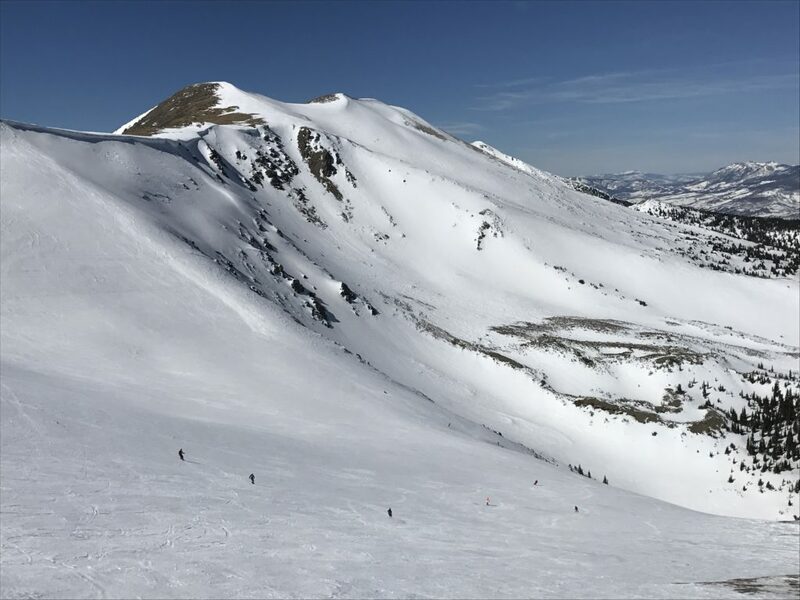 Rent cross-country skis or snowshoes and head to the Breckenridge Nordic Center (Tip: Hit their Fri–Sun happy hour 3–6 p.m. for live music and lodge drinks) or go exploring along the Sallie Barber Mine trail or up on Boreas Pass for incredible views. Here’s a trail map. Sledding at Carter Park is a gravity-driven blast for all ages. And the adjacent dog park is a happening pup playground. Breakfast lovers head to Clint’s Bakery and Amazing Grace for muffins, scones and loaded biscuit sandwiches. Daylight Donuts is the spot for killer apple fritters and sausage rolls, while Cuppa Joe and The Crown serve excellent coffee and ambiance. At the resort, snag mountainside meals at Sevens, Robbie’s, the T-Bar and Pioneer Crossing (try the lobster mac n cheese). Easy lunches crafted with love and fresh ingredients are found at Duggan’s Deli, Soupz On and Piante Pizza. Global and creative cuisine hits home at Artisan 206, Belle V., BoLD, Ember and Doma 1898. Laid-back visitor no-fails include Downstairs at Eric’s, Mi Casa, Kenosha, Empire Burger and, of course, the ever-popular crepe stand on Main Street. The Broken Compass, Breckenridge Brewery, Après and the Breckenridge Distillery draw craft beer and cocktail fans and the happy hours at Twist, Modis, Hearthstone and Blue River Bistro can’t be beat. Stop into the Continental Divide Winery for tastings and Ridge Street Wine for nightly cheese, vino and chocolate flights. Tap beer, billiards and occasional live music light up Napper Tandy’s Irish Pub. The revamped Gold Pan Saloon offers a wine bar with wild west history. The backyard beer garden at ski-shop-tavern hybrid Rocky Mountain Underground is a terrific people-watching perch. Rita’s serves fantastic margaritas and you’ll always meet someone with a story around the fire pit at Burke and Reilly’s. 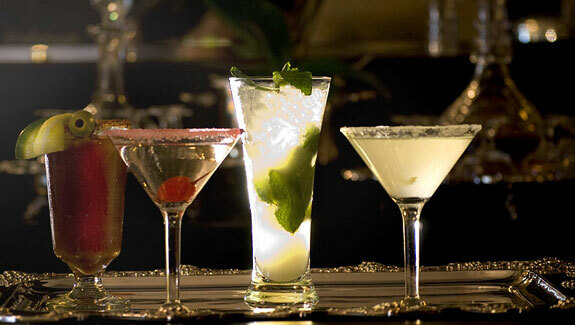 Cecilia’s and Liquid Lounge have the nightclub scene dialed with DJs, dance floors, lounges and an endless flow of 20-somethings. Safe Travels: Breckenridge has joined the Uber and Lyft-served mountain revolution and our free and safe Summit Stage and Breck Free Ride buses will take you countywide. The Broken Compass and Breckenridge Distillery offer free shuttles. Drinking and driving is obsolete. Fat bikes are all the rage and available to rent around town. Check out full moon fat bike tours at Gold Run Nordic and popular beer and bike tours. Go ice skating or catch a hockey game at the Stephen C. West Ice Arena and visit the Breckenridge Recreation Center for a full gym, climbing wall, pool with slides, hot tubs and more. 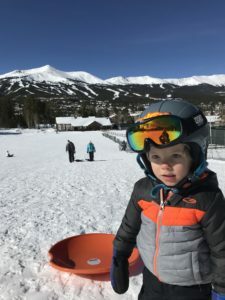 The groomed rec path between Breckenridge and Frisco welcomes fat bikers, skiers and snowshoers during winter and bikers, hikers, strollers and dogs all summer. The Peak 8 Fun Park at Breckenridge Ski Resort is a sweet summer spot with an alpine coaster, zip-lining, mini golf, alpine slide, mountain biking, sky-high trampolines and more. Use the free gondola to traverse between town and the mountain. Brightly painted Victorian buildings, manicured landscapes and the beautiful Blue River make a simple walk downtown feel like a drop into a postcard. Pop in and out of Main Street’s shops, galleries and gear outfitters, stop into the Visitor Center for tips and maps, pause on the riverwalk and hit the Breckenridge Arts District for workshops and open studios, family events and festivals. Take the free Main Street Trolley from one end to the other. Date nights are done right at the Breckenridge Backstage Theater, Ready Paint Fire or one of the local escape rooms. 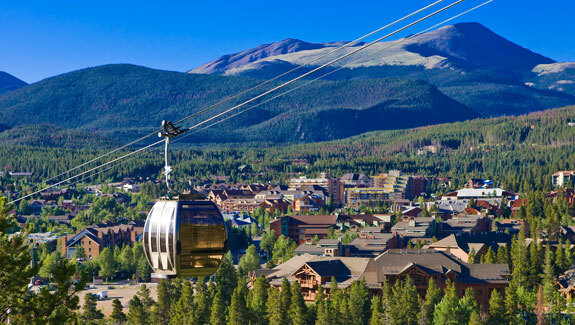 Get a feel for Breck’s distinct foothold in mining, cowboy and ski history on a guided walking tour and be sure to snap a heavenly Instagram envy shot from Sapphire Point or the deck at The Lodge Breckenridge.